You may not be thinking much about getting hurt and being unable to earn an income. I know when I was on active duty, I was invincible. You probably are too. And in fact if you do get hurt and can no longer serve in the military, you'll be medically retired and receive retired pay and most likely VA Disability Compensation. In the civilian sector medical retirement isn't common (at least outside the Federal Government). You may need to plan for this. Do You "Need" to Work After You Retire from the Military? The first question you need to address is the income need after retirement from the military. If you live a low expense lifestyle, you may be able to get by on your military retirement, VA Disability Compensation (if receiving it) and your future Social Security benefits. If that is the case, you may be just fine. The same might apply if you could move to a lower cost area. If you determine that you will need income in addition to your retirement, disability and Social Security, then you should mitigate that risk. Like many other financial risks, the risk of income loss from disability can be transferred via insurance. This type of insurance is unimaginably called "Disability Insurance". Disability Insurance is complicated and we won't cover everything you need to know here. But there are a couple of things you should understand. But before we do that, let's look at how you will get disability insurance. For a lot of retired military officers, their employers will provide disability (short and/or long-term) as a fringe benefit. You may need to pay all or a portion of the premium or it may be completely free. If your employer doesn't provide disability insurance, then you'll be on your own to purchase it. You can purchase disability insurance through most, but not all, insurance companies. If a company provides life insurance there is a pretty good chance it will provide disability insurance. You might also want to check any professional organizations that you belong to, to check and see if you can get a group policy through them. Determining when you are disabled isn't quite as simple as one might think. The definitions are complicated and it depends on the specifics of the policy. But at the 50,000 foot level, here are the definitions of disability when talking about disability insurance. The policy will state which level of coverage it provides. Own Occupation: If you get hurt and can no longer work in your current profession, you are disabled and the insurance will pay. Modified Any Occupation: If you get hurt and can no longer work in your current profession, but can work in an occupation at a similar "station", then you are NOT disabled. It is important to understand which type of coverage you have and if you're not happy with employer provided coverage, you might want to buy your own policy. If you pay your premiums with pre-tax dollars (as part of an employee benefit) then your benefits will be taxable. Conversely, if you pay your premiums with after-tax dollars, your benefits will be tax-free. Common coverage levels are 60% of your income earned from employment. You may be able to find a slightly higher amount. 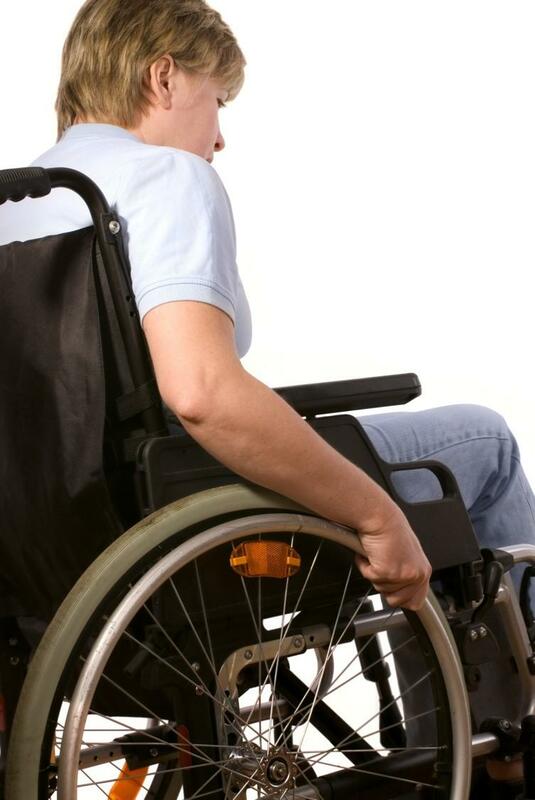 With a long-term disability policy you will likely need to pay your own way for a set period of time. Normally the period is 90 days. Long-term disability policies generally pay benefits until Social Security retirement eligibility. You may also have a short-term disability coverage which usually starts a couple of weeks after the claim is made based on the assumption that you will have some paid vacation you can use. Short-term disability is usually coordinated with long-term disability (if applicable) so that it pays until long-term disability benefits kick in. When determining how much you need in a emergency fund, factor in your disability coverage. If you get hurt and can't work you may qualify for Social Security Disability Benefits, but I don't think it is a good idea to count on it as your primary resource to mitigate the risk. That is because qualifying for Social Security benefits is much more difficult than qualifying for benefits through insurance. It is also important to check and see if your benefits from insurance will be reduced if you receive Social Security Disability Benefits. The reality is that your financial life is much simpler on active duty than it will be after you retire. Like I said, you probably didn't think about disability benefits while on Active Duty. You were covered and didn't spend any time on it. That will change. You might want to get some help from a financial advisor that deals with these things day in and day out.